Sun Day takes place annually on 3 May. It was designated by United States President Jimmy Carter in 1978, specifically to advocate for solar power. It was modeled on the highly successful Earth Day of April 22, 1970 and was the idea of Denis Hayes, who also coordinated Earth Day in 1970. Solar power is the conversion of energy from sunlight into electricity, either directly using photovoltaics (PV), or indirectly using concentrated solar power. Concentrated solar power systems use lenses or mirrors and tracking systems to focus a large area of sunlight into a small beam. 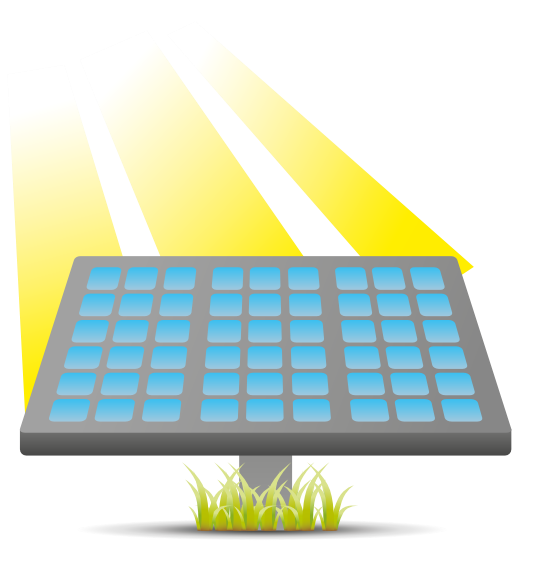 Photovoltaic cells convert light into an electric current using the photovoltaic effect. The International Energy Agency projected in 2014 that under its “high renewables” scenario, by 2050, solar photovoltaics and concentrated solar power would contribute about 16 and 11 percent, respectively, of the worldwide electricity consumption, and solar would be the world’s largest source of electricity. Most solar installations would be in China and India. Photovoltaics were initially solely used as a source of electricity for small and medium-sized applications, from the calculator powered by a single solar cell to remote homes powered by an off-grid rooftop PV system. As the cost of solar electricity has fallen, the number of grid-connected solar PV systems has grown into the millions and utility-scale solar power stations with hundreds of megawatts are being built. Solar PV is rapidly becoming an inexpensive, low-carbon technology to harness renewable energy from the Sun. The current largest photovoltaic power station in the world is the 850 MW Longyangxia Dam Solar Park, in Qinghai, China. Commercial concentrated solar power plants were first developed in the 1980s. The 392 MW Ivanpah installation is the largest concentrating solar power plant in the world, located in the Mojave Desert of California. 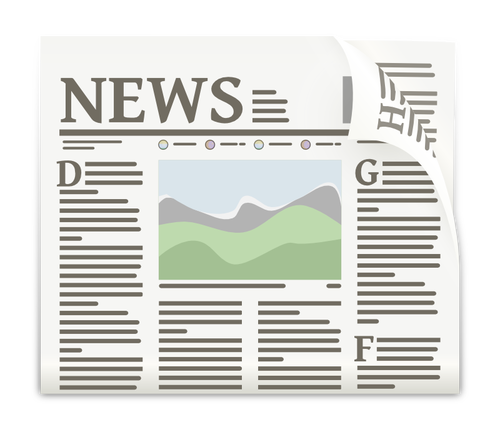 The United Nations General Assembly declared May 3 to be World Press Freedom Day. The purpose of World Prees Freedom Day is to raise awareness of the importance of freedom of the press and remind governments of their duty to respect and uphold the right to freedom of expression enshrined under Article 19 of the 1948 Universal Declaration of Human Rights and marking the anniversary of the Declaration of Windhoek, a statement of free press principles put together by African newspaper journalists in 1991. UNESCO marks World Press Freedom Day by conferring the UNESCO/Guillermo Cano World Press Freedom Prize on a deserving individual, organisation or institution that has made an outstanding contribution to the defence and/or promotion of press freedom anywhere in the world, especially when this has been achieved in the face of danger. Created in 1997, the prize is awarded on the recommendation of an independent jury of 14 news professionals. Names are submitted by regional and international non-governmental organisations working for press freedom, and by UNESCO member states. The Prize is named in honour of Guillermo Cano Isaza, a Colombian journalist who was assassinated in front of the offices of his newspaper, El Espectador, in Bogotá, on 17 December 1986. Cano’s writings had offended Colombia’s powerful drug barons. UNESCO also marks World Press Freedom Day each year by bringing together media professionals, press freedom organisations and UN agencies to assess the state of press freedom worldwide and discuss solutions for addressing challenges. Each conference is centred on a theme related to press freedom, including good governance, media coverage of terrorism, impunity and the role of media in post-conflict countries. The 2011 World Press Freedom Day celebration was held in Washington, D.C., United States on May 1–3. It was the first time the United States had hosted the World Press Freedom Day celebration. The theme of the event was 21st Century Media: New Frontiers, New Barriers. The event affirmed fundamental principles of media freedom in the digital age—the ability of citizens to voice their opinions and access diverse, independent information sources—20 years after the original declaration was made in Windhoek, Namibia. 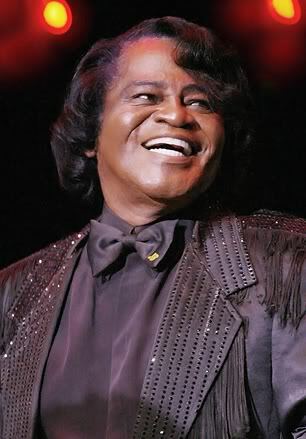 Often referred to as the Godfather of Soul, the late great American singer, songwriter, arranger, and dancer, James Brown was born May 3rd, 1933 in Barnwell, South Carolina. He was a prolific singer, songwriter and bandleader and became one of the most iconic mportant and influential figures in funk and soul music from 1956-2006. This remarkable achievements earned him the sobriquet “the Hardest-Working Man in Show Business” and helped him become one of the most popular entertainers in 20th-century popular music. Among his most popular songs are “It’s A Man’s World” “Try Me” “Night Train” “Please, Please, Please” “Papa’s Got a Brand New Bag” “I Got You (I Feel Good)” “Cold Sweat ” “Say It Loud—I’m Black and I’m Proud” “Get on Up” and “Super Bad. Brown was raised mainly in Augusta, Georgia, by his great-aunt, who took him in at about the age of five after his parents divorced. Growing up in the segregated South during the Great Depression of the 1930s, Brown had a really impoverished upbringing and this probably explained his later penchant for wearing ermine coats, velour jumpsuits, elaborate capes, and conspicuous gold jewellry. Neighbours taught him how to play drums, piano, and guitar, and he learned about gospel music in churches and at tent revivals, where preachers would scream, yell, stomp their feet, and fall to their knees during sermons to provoke responses from the congregation. Brown sang for his classmates and competed in local talent shows.At age 15 Brown was sentenced to 8 to 16 years in prison after being arrested for breaking into cars but was released after 3 years for good behaviour. While at the Alto Reform School, he formed a gospel group named the Flames (later the Famous Flames), which soon attracted the attention of the legendary Little Richard , whose manager helped promote the group, and they went to Cincinnati, Ohio, to record their first song “Please, Please, Please” which went on to sell three million copies and launched Brown’s extraordinary career. Along with placing nearly 100 singles and almost 50 albums on the best-seller charts, Brown broke new ground with two of the first successful “live and in concert” albums— Live at the Apollo (1963), and the follow-up, Pure Dynamite! Live at the Royal.During the 1960s Brown was known as “Soul Brother Number One.” His hit recordings of that decade have often been associated with the emergence of the Black Arts and black nationalist movements, especially the songs “Say It Loud—I’m Black and I’m Proud”, “Don’t Be a Drop-Out”, and “I Don’t Want Nobody to Give Me Nothin’ (Open Up the Door, I’ll Get It Myself)”. Politicians recruited him to help calm cities struck by civil insurrection and avidly courted his endorsement. In the 1970s Brown became “the Godfather of Soul,” and his hit songs stimulated several dance crazes and were featured on the sound tracks of a number of “blaxploitation” films. When hip-hop emerged as a viable commercial music in the 1980s, Brown’s songs again assumed centre stage as hip-hop disc jockeys frequently incorporated samples from his records. He also appeared in several motion pictures, including The Blues Brothers and Rocky IV, and attained global status as a celebrity, especially in Africa,where his tours attracted enormous crowds and generated a broad range of new musical fusions.Brown’s uncanny ability to sing soulful slow ballads as well as electrifying up-tempo tunes, often blending blues, gospel, jazz, and country vocal styles together, made him one of the most influential vocalists of the 20th century. His extraordinary dance routines featuring acrobatic leaps, full-impact knee landings, complex rhythmic patterns, dazzling footwork, dramatic entrances, and melodramatic exits redefined public performance within popular music and inspired generations of imitators. The musicians associated with him (Jimmy Nolan, Bootsy Collins, Fred Wesley, and Maceo Parker) have also played an important role in funk music. in 1986 Brown was inducted into the Rock and Roll Hall of Fame for his outstanding contribution to the world of Funk and Soul Music . Brown sadly passed away on December 25th 2006 but he made such an outstanding contribution to the world of Funk and Soul Music that he will not be forgotten and his legacy will live on for many years to come. 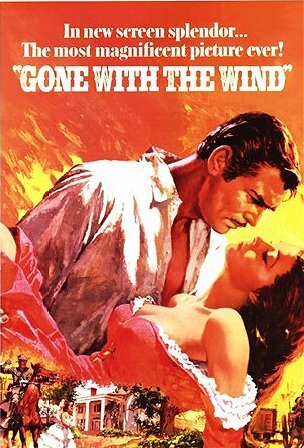 The epic romance Gone with the Wind, by Margaret Mitchell won the Pulitzer Prize for Fiction on 3 May 1937. The film premiered at Loew’s Grand Theatre in Atlanta, Georgia, United States on December 15 1939. Based on the Pulitzer Prizewinning novel written by Margaret Mitchell, it is set in Clayton County, Georgia, and Atlanta during the American Civil War (1861–1865) and the Reconstruction Era (1865–1877) that followwhere the war. Set against the backdrop of rebellion, during which seven southern states, including Georgia declare their secession from the United States (the “Union”) and form the Confederate States of America (the “Confederacy”), after Abraham Lincoln was elected president. A dispute over states’ rights has arisen involving enslaved African people. it begins April 1861 at the “Tara” plantation, which is owned by a wealthy Irish immigrant family, the O’Haras including sixteen-year-old Scarlett O’Hara. Scarlett learns that Ashley Wilkes, is getting engaged to his cousin, Melanie Hamilton and informs Ashley she loves him. However he refuses her marriage proposal. Then Scarlett meets local rogue Rhett Butler alone in the library and learns that war has been declared. Seeking revenge for being jilted by Ashley, Scarlett accepts a proposal of marriage from Melanie’s brother, Charles Hamilton. They marry two weeks later. Charles dies from measles two months after the war begins. Widowed Scarlett is pregnant with her first child and gives birth to a boy, Wade Hampton Hamilton, named after his father’s general. As a widow, she is bound by tradition to wear black and avoid conversation with young men much to her chagrin. Melanie, who is living in Atlanta invites Scarlett to live with them. In Atlanta, Scarlett’ begins Work at the hospital for the Confederate army & encounters Rhett Butler again at a dance for the Confederacy. The men must bid for a dance with a lady and Rhett bids for a dance with Scarlett shocking everyone, however Melanie defends Rhett because of his support for the Confederate cause. Ashley is granted some land by the army and returns to Atlanta to be with Melanie. Atlanta is under siege from the Union (September 1864), and descends into a desperate state while hundreds of wounded Confederate soldiers lie dying or dead in the city. Melanie goes into labour with only the inexperienced Scarlett to assist, as all the doctors are busy attending the soldiers. In the chaos, Scarlett, is left to fend for herself, and the Confederate States Army sets Atlanta ablaze as they abandon it. Melanie gives birth to a boy named “Beau”, Scarlett , Melanie, Beau, and Prissy seek refuge at Tara and they follow the retreating army out of Atlanta. Rhett then enlists in the army. So Scarlett makes her way to Tara alone where she discovers that Gerald is ill, Her mother is dead andher sisters are sick with typhoid fever, the field slaves have all left after Emancipation, the Yankees have burned all the cotton and there is no food in the house. So begins a desperate journey for post-war survival. A number of Confederate soldiers returning home stop at Tara to find food and rest including Cracker, Will Benteen, and Ashley Wilkes. However Just as Life at Tara is beginning to recover there is more trouble,so Scarlett goes to Atlanta to ask Rhett Butler for help but finds him languishing in jail. Scarlett also runs into Frank Kennedyand they marry two weeks later. Frank wants Scarlett to be happy So he gives her the money to pay the taxes on Tara. In return Scarlett helps at Frank’s store and finds many People owe him money, so she recovers all the debts and runs his business while he is away.